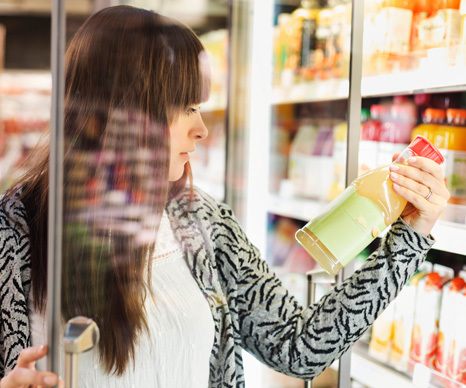 Our broad suite of refrigeration measures, lighting upgrades and HVAC solutions can be customized to address the specific needs of individual grocery stores and implemented quickly and easily. Refrigeration accounts for roughly 60 percent of energy use in a grocery store setting. And retrofitting the refrigeration system in a grocery store is a complicated process with lots of moving parts. In an industry defined by razor-thin profit margins, it can be difficult to see the value in such an undertaking. Fortunately, CLEAResult has been maximizing the energy efficiency of grocery stores nationwide for years. We make it easy to get large-scale projects done quickly, so you can start saving time, money and energy right away. A partnership with CLEAResult extends further than refrigeration. We're fully capable of conducting an energy analysis of every one of your building's energy-using systems. Plus, we've built relationships with reliable and experienced contractors, so your projects will be completed as quickly and efficiently as possible. Since 2002, we've run a host of grocery-specific utility incentive programs, and we've improved the energy performance of over 11,000 stores along the way. Grocery stores — national and regional chains, mom & pop and convenience stores — are integral parts of the communities across North America where we live and work. Helping grocers take advantage of energy saving opportunities benefits us all. Having worked with over 11,000 grocery stores, we've saved our customers over 825 million first-year kWh— and 3.4 billion cumulative lifetime kWh!